Are you planning a superhero themed party? Looking for a fun way to tell your drinks apart when there is a lot on the table? 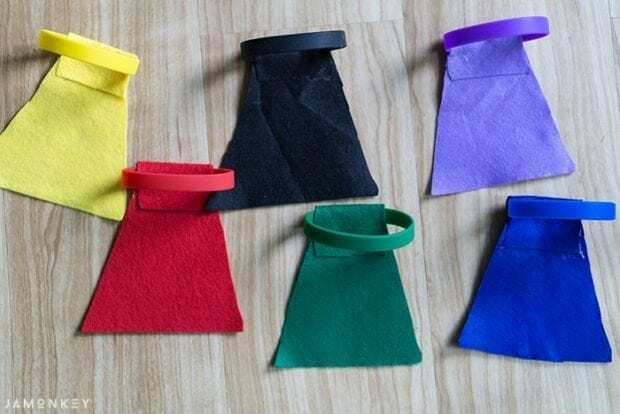 You'll love this easy to make cape drink markers. 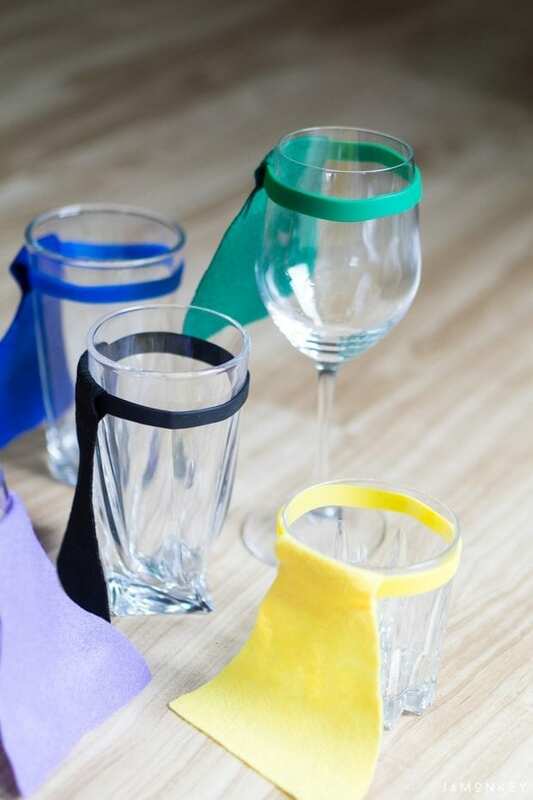 They fit onto any sized cup, and the bands are rubber so they won't slip off your glass. I created these for a Lando Cocktail that wouldn't be complete without an amazing cape. I was thinking about all the great superhero drinks you can make with these fun capes. Thor, Vision, Superman, Batman, the possibilities are endless. Unless you're talking about The Incredibles, NO CAPES! See a video tutorial at the bottom of this post. These would also be a fun gift for kids to take make and take home during a themed party. Colored Rubber Bands / Bracelets – I got 12 different colored bands for only $5! You may have some of these bracelets lying around your house with different sayings on them. I like this band set because it had all the basic colors to match the felt. Colored Felt – I buy the multi-colored packs because it has lots of colors to choose from and this felt is great to keep around the house for kids crafts. Fabric Glue – I found this glue at Walmart in the craft section. You will need this cape template to make the right sized cape. Cut out your felt cape. 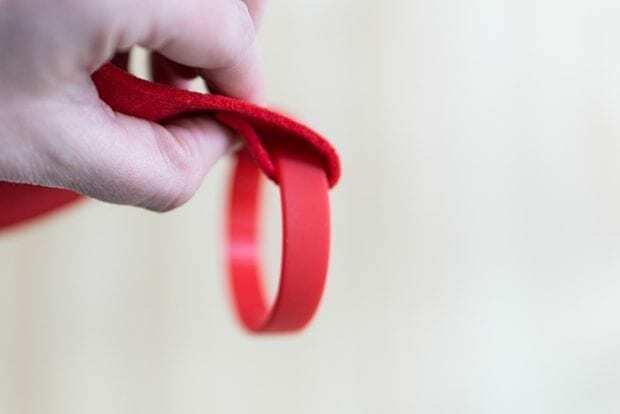 Before you glue your fabric together, place the rubber bracelet at the top of the cape. 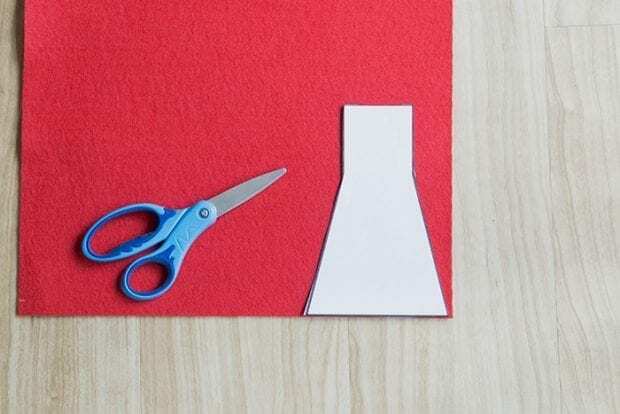 Fold the felt over leaving plenty of space for the rubber band to move freely between the felt. You don't want to glue the felt to the rubber band. 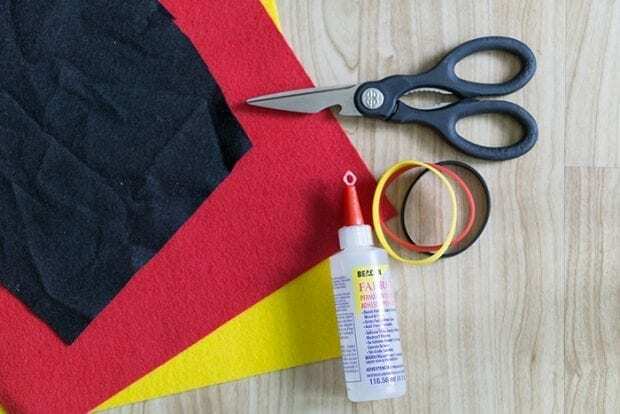 Only glue the felt to the itself. This will allow the rubber band to stretch and move freely to fit any size glass. 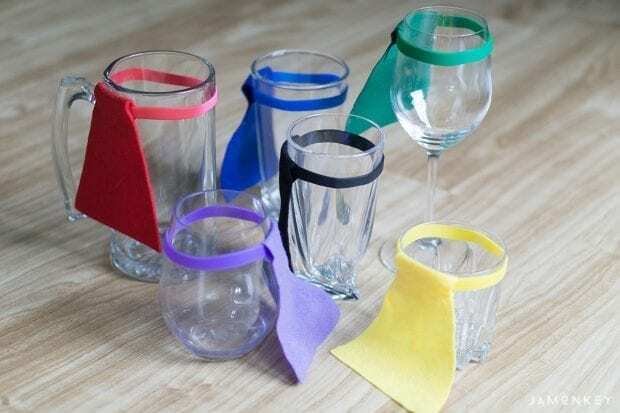 I made a few different colors so that you can tell the glasses apart during a gathering. They are so easy to make and fun to display on your cups. 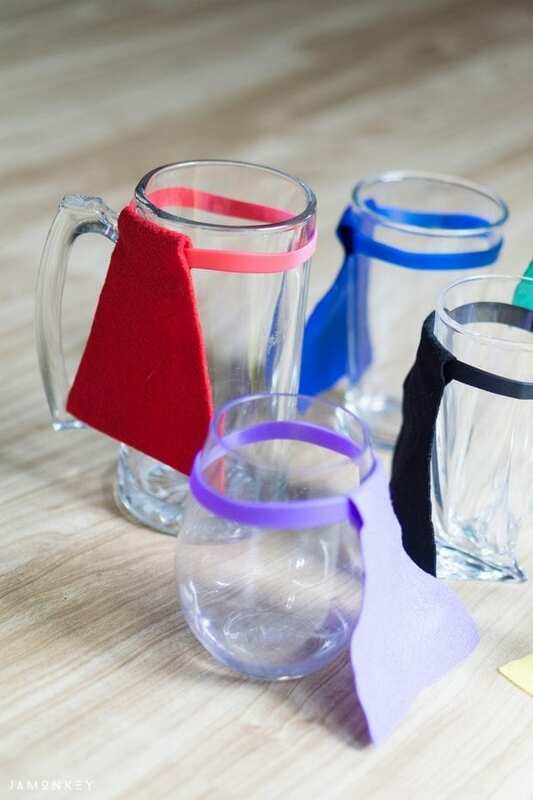 When you place the capes on your cups, move them down off of the rim so you aren't sipping your drink on the rubber band or felt. The nerd in me wants to sip wine with ‘super' style! But just picture a Thor-sized beer with his iconic red cape! What kind of drink would you make?